Have you locked yourself out of your home or vehicle and need emergency assistance, or do you need to upgrade the security of business or house? At Pro-Keys Locksmith Service, we provide a full array of services to meet your needs. Our mobile service is available 24/7, so give us a call today. Have you locked yourself out of your vehicle? Wondering how to unlock a car door? Before you try to pop the lock yourself or call up an amateur friend to do the job, consider this: most cars driven today are designed to deter theft and vandalism. Without extensive training and the right tools for the job, you’re unlikely to unlock your doors without a key. Instead, you’re likely to damage your vehicle’s door, window, or the lock mechanism, all of which can be expensive problems to fix. Do you know how many keys to your home exist and who is in possession of them? Unless you’ve changed your locks since moving into your home, it’s impossible for you to know. Our friendly, professional locksmiths can help you make sure your home is secure by rekeying your current locks or by helping you upgrade with a home security system. Are your valuables and important documents vulnerable to damage or destruction in the event of a fire, flood, or robbery? If they aren’t stored in a high quality safe, then they may be at risk. 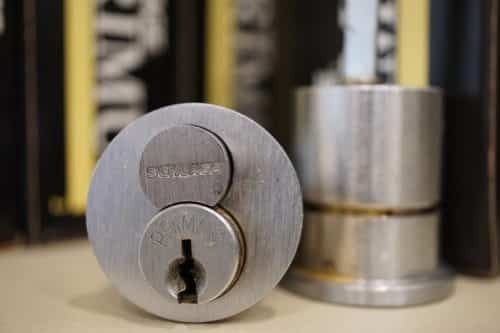 At Pro-Keys Locksmith Service, we offer a line of state-of-the-art safes from USA made trusted brands like Champion and Amsec, so you can trust that you’re getting the best. For more than 25 years, Pro-Keys has established ourselves as the first choice of Northern Virginia, DC, and Maryland residents for all their locksmith and security needs. Trust the pros at Pro-Keys. Pro-Keys Locksmith is a licensed, bonded, insured, and certified full-service locksmith headquartered in Woodbridge, Virginia. As a full-service locksmith, Pro-Keys technicians are expert automotive, residential, commercial, and safe & vault locksmiths. We also provide 24-hour emergency service roadside automotive service, as well as 24-hour emergency home lockout services.